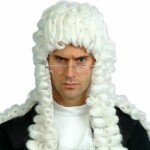 It feels as if you’re heading to court where you’ll be cross-examined, criticised and then judged. Perhaps you, or your project, will be found wanting with uncomfortable consequences for everyone. Perhaps you’ve tried to push this spectre out of the way, meanwhile your doubts grow larger each time you consider it. Now you can’t put it off any longer. drawing conclusions and making recommendations based on all the preceding steps. Professional evaluations also follow good practice guidelines, like those of the UK Evaluation Society, which protect the interests of all parties. So, while evaluation does eventually involve an element of judgement, like a good court case it is based on first collecting sound evidence. Unlike a court case, there is no fierce cross-examination, and no desire to reach the black and white extremes of a ‘Guilty’ or ‘Not guilty’ verdict. The bottom line: Please be assured that evaluation is a fair process, involving full discussion with a range of parties, with conclusions emerging logically from the information and opinions collected.